Have students cut out and body and head. Glue on blue construction paper. 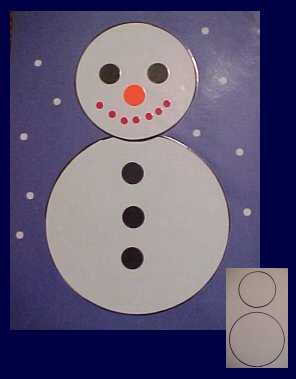 Add signal dots to complete snowman.